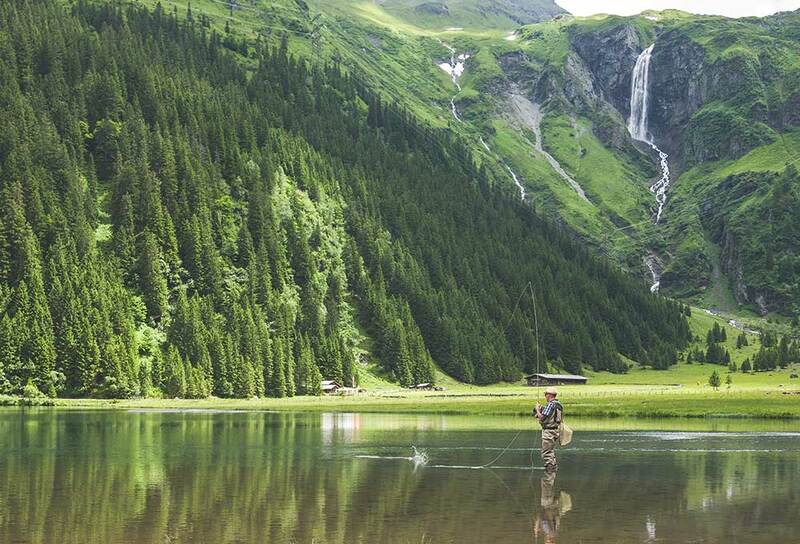 Spring has sprung, which means it’s time to dust off those waders and rig up those rods! Spring fly fishing in Colorado can be tricky but knowing what fly to use is half the battle. While every spring hatch varies slightly from year to year, these bugs are sure to land a trout or two – and may even land you an elusive pike. These mayflies, with sail-like wings and long tails, typically hatch in May and can be found in medium to fast sections of a river. Typically sized 18 to 22, spring hatches can see flies as big as size 16. The name, BWO, is used for a number of different species that vary slightly in color from light grey to brown to olive, so it’s important to experiment a bit between fly patterns when fishing the Colorado rivers. BWOs like to swim (they use their long tails to drift in the water) and cling to the bottoms of rocks to feast on diatoms and algae. In the morning, before the main hatch, BWOs nymphs can be used as a warm up to the main event. As the day grows warmer and the hatch progresses, the nymphs will slowly start to rise in the water – and so will the fish. Once fish start to surface, it’s time to switch to a dry fly and take advantage of the full BWO hatch. Appropriately named, the Mother’s Day Caddis hatch typically hits around Mother’s Day. While this spring hatch is well known on Colorado’s Arkansas River, it’s just as solid on the Roaring Fork and Eagle River, and anglers from all over the country come to Colorado to experience some of the best dry fly action of the season. Usually size 18 – 20, these dark-colored caddisflies provide great nymphing in the weeks leading up to the hatch. While most caddisfly hatches are short and intense, the Mother’s Day Caddis hatch is renowned for lasting a couple of days. Fly fishing in Colorado is all about knowing what fly to use and when to use it. In early June, that fly is the Salmonfly. Also known as Giant Stoneflies or Willow Flies, the Salmonfly hatch is simply called “the Hatch.” Famous world-wide, the Hatch provides some of the best dry-fly fishing in the west. Adult Salmonflies are large – with a wingspan of 2 ½ inches – and have a brilliant reddish-orange underside. The hatch slowly progresses upriver every day, so timing and location are imperative for this spring hatch. Also, something rare with smaller stonefly or mayfly hatches, trout tend to get full during the Salmonfly hatch. If feeding slows, move a few miles upstream – where fish are still hungry – to get ahead of the hatch. The great thing about spring fly fishing in Colorado is that these bugs are the first steady food source for hungry trout. When you know what fly to use, these spring hatches can produce some of the best fishing all year. So, what are you waiting for? Grab your gear, pack some river-friendly snacks and get fishing!